The Ritz-Carlton Residences-The Best New Address On Long Island! Luxury Residence In Gated Community With 23,000 Sq. Ft. Clubhouse Featuring Indoor & Outdoor Salt Water Pools, Gym, Movie Theater, Golf Simulator, Billiards Room, Banquet Rooms With Catering Kitchen & Large Outdoor Terrace. Amenities Include 24 Hour Concierge, Doorman, Porter & Valet Parking. 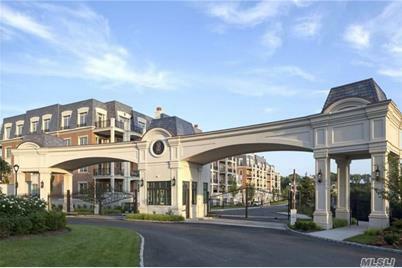 6000 Royal Ct #6010, North Hills, NY 11040 (MLS# 2992357) is a Condo property with 2 bedrooms, 2 full bathrooms and 1 partial bathroom. 6000 Royal Ct #6010 is currently listed for $1,625,000 and was received on December 19, 2017. Want to learn more about 6000 Royal Ct #6010? Do you have questions about finding other Condo real estate for sale in North Hills? You can browse all North Hills real estate or contact a Coldwell Banker agent to request more information.